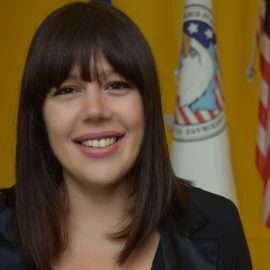 Executive Director of the American Chamber of Commerce is responsible for promoting the public image of the Association by serving as the Chamber’s “ambassador-at-large,” and liaising on behalf of its members with other leaders of Kosovo and international business community. Policy Department is a core unit of the American Chamber of Commerce in Kosovo, responsible for recording and addressing the policy-related issues that members of the Chamber are facing. The Department also liaises on behalf of its members with representatives of the public institutions, but also helps in drafting of the advocacy program of AmCham. Arbitration Center is a subsidiary unit of AmCham Kosovo, established in 2011. Arbitration Center is responsible for administering arbitral proceedings in accordance with the Kosovo Rules of Arbitration adopted by the AmCham Kosovo and mediation proceedings in accordance with the Laws of Kosovo. Arbitration Center is overseen by a Steering Council, whose members are appointed by the Board of Governors of AmCham Kosovo. Theodore Roosevelt Economic Research Institute is a support unit of AmCham, established in 2018, responsible for economic research and analysis. The Institute aims to produce accurate and reliable statistics for the needs of AmCham, its members, and wider business community. 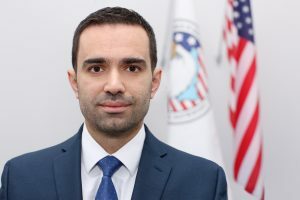 He was appointed in the position of Executive Director of AmCham in 2012, promoting the public image of the Association by serving as the Chamber’s “ambassador-at-large,” and liaising on behalf of its members with other leaders of Kosovo and international business community. Under his leadership, in 2013 AmCham Kosovo was the Chamber with the largest membership acquisition among 43 AmChams in Europe. Also, under his leadership, AmCham established Charity Foundation (2012), Woodrow Wilson Chess School (2016), and Theodore Roosevelt Institute of Economic Research (2017), whereas has further strengthened the capacities of the Arbitration Center, where he also sits as an ex-officio member of the Steering Council. 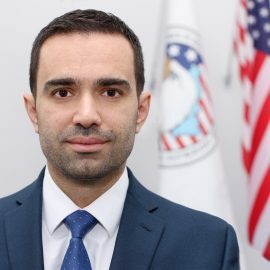 Arian is a Member of AAB College Steering Council; Member of the Advisory Board of the Law Faculty of University of Prishtina; Member of the Board of Directors of SCARDIAN Insurance Company; Member of National Trade Facilitation Committee; and Member of Steering Council of the National Qualification Authority. 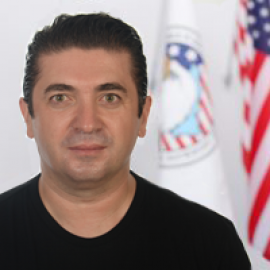 He is a Senior Lecturer at the Society of Certified Accountants and Auditors of Kosovo, teaching management and strategic management certification modules since January 2009. 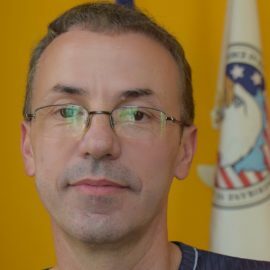 He served as Vice President of Kosovo CSR Network, Chairman of the Fiscal Consultative Council, Chairman of the Business Community Office at the Kosovo Assembly, Consultant at German Corporation for International Cooperation (GIZ), Consultant at a World Bank funded program, Director of an International Film Festival, etc. He holds a Master of Science (MSc) degree in Management, and is an alumnus of the U.S. Library of Congress Open World Leadership Program (OWLP) and Joint Vienna Institute (JVI). He is also a Certified Internal Auditor (CIA). Visar Hapçiu is currently Head of Economic Research Institute. Initially, he joined AmCham in May 2010 as an intern, and got promoted to the position of Policy and Administration Assistant in September. He started working as Policy and Project Officer in March 2012. 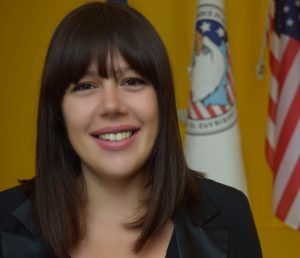 Visar graduated from the American University in Kosovo, who majored in Economics & Statistics and Management and minor in Public Policy. Visar is a native Albanian speaker; he is also fluent in English and has basic knowledge of Turkish and Italian. 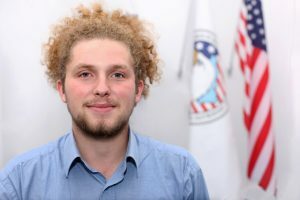 Prior to working at AmCham, Visar finished an internship program with the Balkan Investigative Reporting Network. He also worked as an assistant for accounting services. 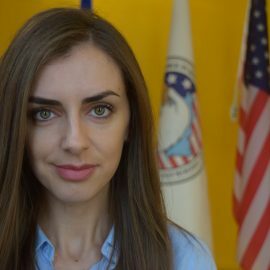 Albion Ujkashi is managing the Policy Department of the American Chamber of Commerce in Kosovo. 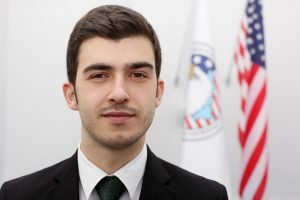 He joined the American Chamber of Commerce in Kosovo in January 2018, previously serving as the Policy Officer of the Chamber. 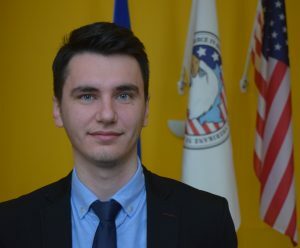 He is currently responsible for policy-related matters, including drafting of policy and position papers, liaising on behalf of the members, conducting research and providing information and guidance to members on doing-business requirements, as well as representing the American Chamber of Commerce in Kosovo in different working groups and other governmental bodies. Albion has also been in charge of organizing business to business activities of the American Chamber of Commerce in Kosovo. Albion was part of a team that won the first place in an open competition during Kosovo’s Sustainable Development Week, for their innovative approach towards energy efficiency. As a teenager, Albion was part of the civil society organizations in Ulcinj, Montenegro, thus building knowledge about various socio-political policies. He completed certification programs on Conflict Analysis and Interfaith Conflict resolution from the United States Institute of Peace. 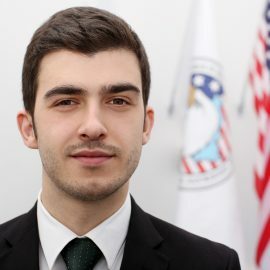 Albion Ujkashi has graduated from the Rochester Institute of Technology in Kosovo on Public Policy and Management. Lorik Hoxha is AMCHAMS Finance Officer. 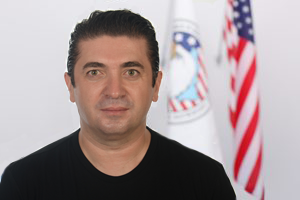 Fatos SYLAj is AmCham Chief Technology Officer. Fjolla Metaj joint AmCham in November 2017 as Communication Officer. 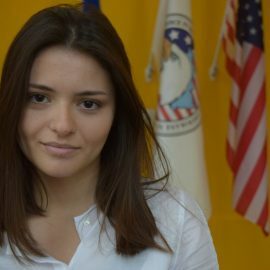 After graduating from RIT Kosovo in 2014 with majors in Public Policy and Management, she worked at R&M Communications as Account Manager for a year, continuing to expand her work experience as Contract Manager at Art House sh.p.k for another two years. 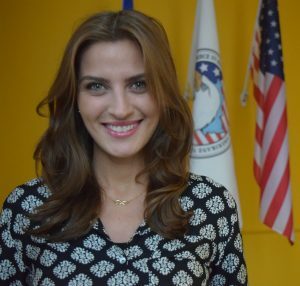 During her studies, Fjolla worked at ADR Center at AmCham as Project Assistant (2013-2014). 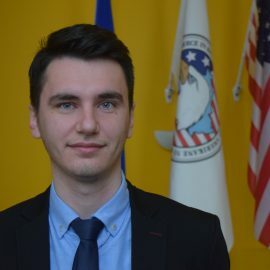 Vesa Osmani joined AmCham in April 2018 as a Research Assistant. 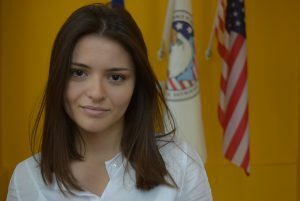 She is currently studying Economics and Statistics at RIT Kosovo (former AUK). 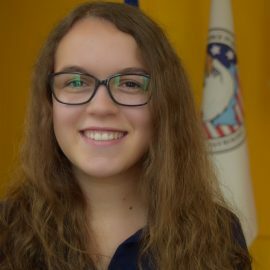 After interning at the United Nations Development Coordinator's Office, Vesa expanded her experience on research, where she worked on Sustainable Development Goals Indicators and Millennium Challenge Corporation Indicators.